Last year, during ski instructor training, it became increasingly obvious that a Level 2 qualification would not get me employment in the Northern Hemisphere ski fields. The initial plan had been to supplement my income with instructor employment whilst exploring more ski fields, but the big problem is visas, or rather the lack of ability to get a work visa once you are over 30. The ski industry relies heavily on acquiring young staff travelling on working holiday visas. No sponsoring required, and the seasonal nature of ski field employment means that the working holiday visa requirements are fulfilled. (Mostly, employers cannot employ someone on a working holiday visa for more than six months). This situation feeds a good little industry in training and qualifying new instructors each year, many of whom may never work in the industry, or will do one or two seasons before pursuing a more lucrative professional career. Which means the vast majority of instructors teaching beginners to ski tend to have minimal experience themselves. Last year I met an Alaskan ski tourer who suggested adaptive ski volunteering as an alternative way to supplement my northern hemisphere ski trips. Not being paid circumvents the visa issue, but there's likely to be a season pass or at least some free skiing thrown in. 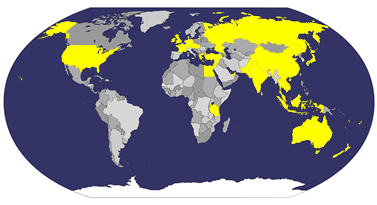 Many North American ski fields, in particular, have large adaptive programs, and getting a US work visa: forget it!! 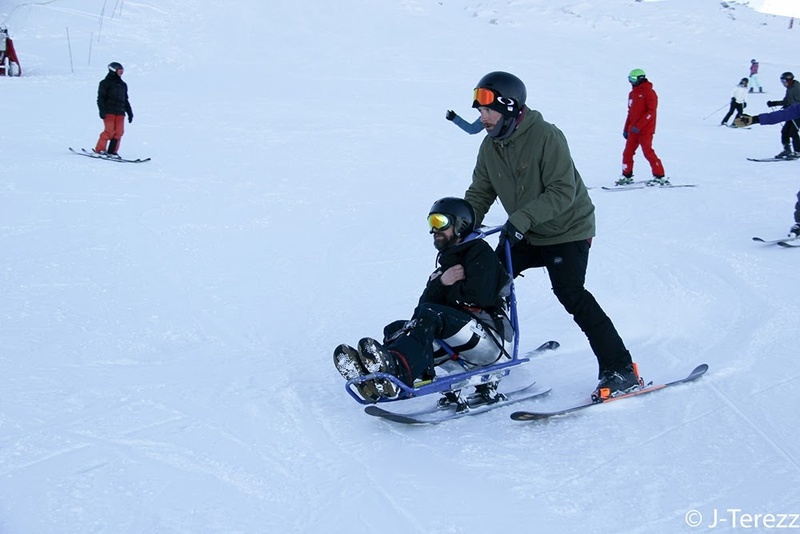 Adaptive skiing is skiing for people with a disability, be it physical or cognitive or both. Having been a paediatrician and GP I've a vast experience with most disabilities and certainly don't suffer from apprehension of the unknown like most of the public might. I've also often railed against the negative thinking of bureaucracies that limit less abled people rather than look for opportunities, so this field actually ticks a lot of boxes for me. And I can even get a qualification out of it!! 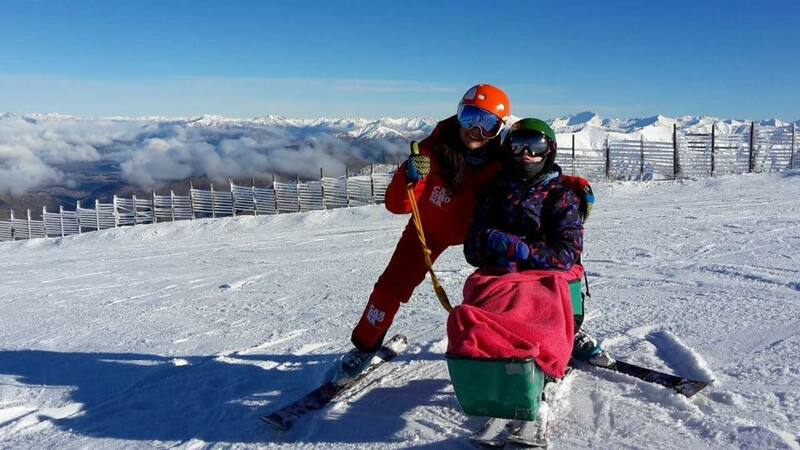 So this year I have joined the Adaptive Volunteer Program at Cardrona. We started with a weekend of training, which involved learning about the equipment as well as the types of clients we would be accompanying around the mountain. Learning how to guide a blind person required us to pair up, then take turns at closing our eyes and trusting someone else to guide us through a lift queue, on and off the magic carpet and ski down a gentle slope. Then there was loading and strapping people in to sit skis, loading the sit ski onto and off a chairlift, and finally, guiding a sit ski down a mountain. Depending on the client's level of disability and experience, this can be anything from the client having full control, to tethering, where the sit ski is guided using ropes, to bucketing, where the sit ski is guided by holding on directly to the back of it. There are mono-ski and bi-ski set ups for the sit skis, and they turn differently, so there are a lot of new skills to learn. But bucketing a bi-ski is hellishly good fun. Those things turn on a pin!! We also learnt how to use outriggers, used by one legged skiers and abled sit skiers, to provide lateral stability and control, and also techniques and strategies to manage clients with cognitive impairment. 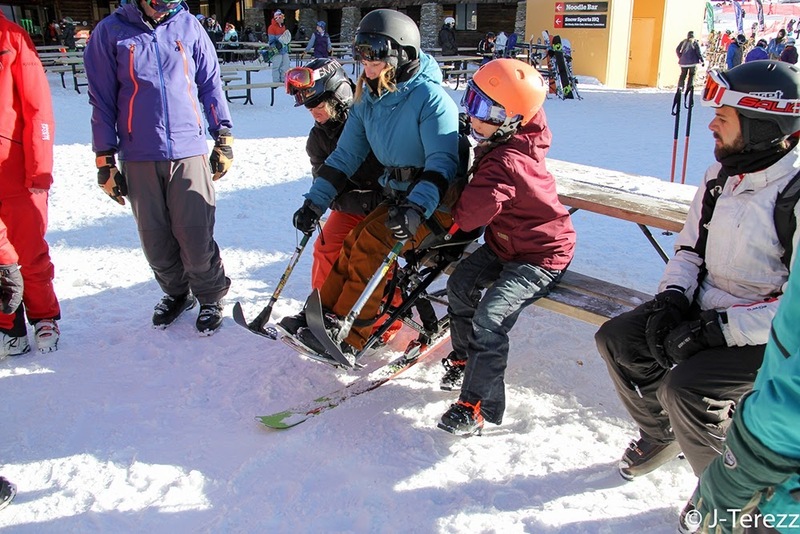 School kids with ADHD, Aspergers, Autism or Down Syndrome, are the most common impairments seen, and it's the volunteer's job to help the ski instructor in a school group to keep the kids all on track and skiing together as a group. And deal with the fallout if the kid loses the plot!! There were a lot of people at the training weekend so although it was fun, there was a fair amount of waiting around for your turn to try the gear. There's more training available throughout the season but the best way will be to get the hours in. For my Level 1 certification I only need to have 4 days of volunteering but I'd rather get a lot more hours under my belt. Luckily, I have the time to do it, and with TC still closed, there's no time like the present. So at the first opportunity, I jumped on it. This week I've had more training at tethering and bucketing, as well as loading onto the chairlift. I'm not yet fully confident with the bucketing and loading but happy to do more practice before letting me loose on clients. So after a couple of half days of further training I accompanied a couple of volunteers with an adult client with cerebral palsy and limited verbal communication. 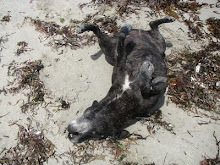 She required full bucketing but can do some steering by leaning her body, and turned out to be quite the speed freak. As a disabled sailor she sails independently using just a toe to control the boat (must be some awesome electronics involved) so she wasn't scared of adventure so we took her down to Captains and over a few unscheduled bumps! I helped block, which means skiing behind creating a triangulated barrier to protect the disabled skier from the other punters on the hill. 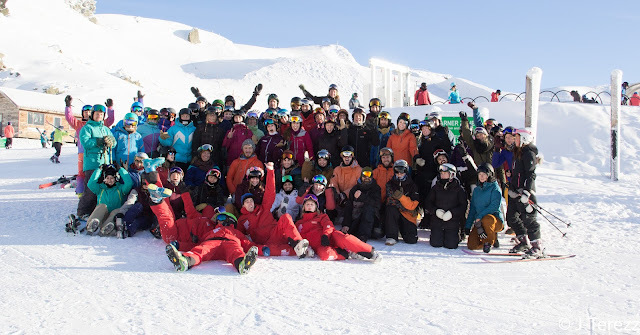 Not an easy task with the myriad out of control skiers and boarders on that mountain now its school holiday season!! What was really interesting was our feedback to each other after the session. Both the other two volunteers, despite both being ski instructors themselves, said they weren't comfortable with the small talk, whereas when I joined them and immediately built up a rapport and conversation with the client that really helped them. Although they did all the physical work, I provided the light entertainment!! Of course I have years more experience communicating with people with disabilities than they do, and zero apprehension about doing so, so I was really glad I could be so useful given I wasn't doing the lifting and steering work. It really is a team effort. By the end of the session we had all had an awesome time, including our client who was grinning from ear to ear and even heard to chuckle loudly when I sussed out that she was a girl who loved speed and adventure. All of us volunteers got such a thrill out of the experience, and I'm sure the rest of the volunteers helping her out this week will have as much fun as we did. Later in the week I will be volunteering with a lass with Down Syndrome. I'm looking forward to that. In the interim, we've had more snow and Treble Cone is scheduled to open tomorrow.